Apply immediately and start working asap. 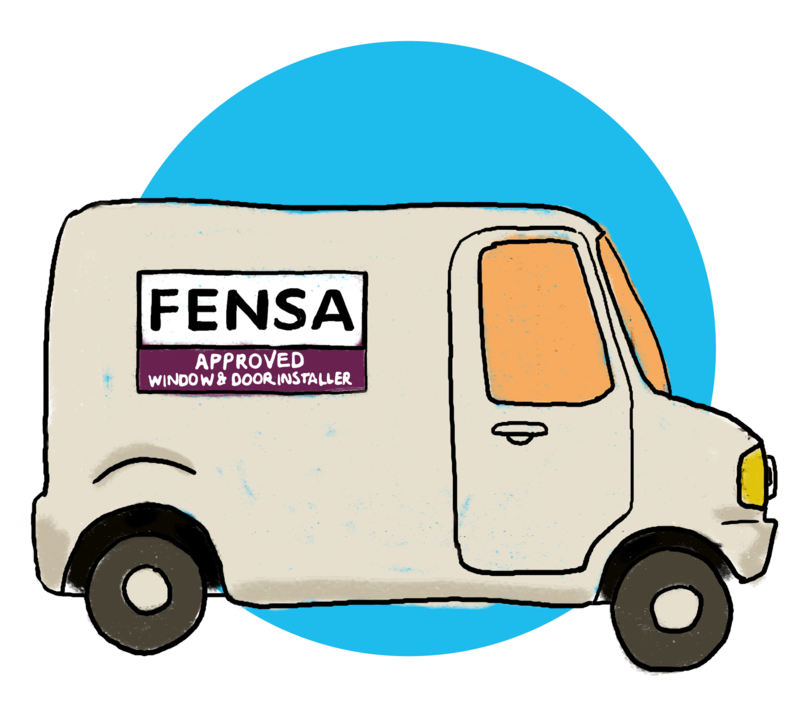 The online application form should be completed by any company wishing to join the FENSA Self Certification scheme for the installation of replacement windows, roof lights, roof windows and doors in existing dwellings in England and Wales for conformance with the applicable Building Regulations. If you require any help to complete this form please call us on: 020 7645 3700 (option 6) or email us at: applications@fensa.org.uk. Please note: dates may be entered manually (format dd/mm/yyyy) or by using the pop-up provided. View our Company Registration Number guide. Do operate from multiple branches? Do you have any unresolved complaints or legal challenges? Have any directors, shareholders or partners of this business previously been a director or partner of a FENSA registered business? Is the business currently registered with another fenestration CPS? If yes, would you like to receive our transfer application form? It is a scheme requirement that each surveyor and at least one person for each installation team holds evidence that they have met the Individual compliance (MTC) requirements. Confirmation of this will be required before FENSA registration/membership is granted. Does your company have at least one person who meets the competency criteria? If not, we will contact you to explain how this can be achieved. Any other MTCs held by staff will be checked at your pre-approval inspection. It is a mandatory scheme requirement that you provide your customers with an IBG. The exceptions are applicants who are Local Authorities or Housing Associations carrying out installations exclusively on their own housing stock. This will be checked at the pre-approval inspection visit and during the course of your registration. A list of IBG providers currently acceptable to FENSA can be found at: FENSA IBG Provider Approved List. Who is your IBG provider Consumer Protection Association (CPA) GGF Insurance Healthcare & Protection Limited Home Improvement Protection (HIP) Home-Pro Insurance IBGs Independant Warranty (IWA) Installations Assured Insured Windows Guarantees Ltd (IWG) NHG Guarantees Plastic Window Federation (PWF) Quality Assured National Warranties (QANW) Don't have one. Do you take or intend to take deposits in advance of installation work? If yes, you are required to hold deposit protection insurance which will be checked at your pre-approval inspection visit. Any deposits taken must not exceed the indemnity value of the policy. By ticking one of the above boxes you have given consent for the details you provide in this application to be passed on to the selected GGF Group Company. FENSA recommends you discuss your business needs with the selected company to ensure you can make an informative decision based on your individual needs. There is no FENSA requirement/expectation that you take up any of the products or services provided by any of these companies. I confirm that the information contained on this application is correct. I hold insurances for Public Liability (£2M) and where appropriate Employers Liability (£10M). I have an active complaints log and a Health and Safety policy (5 employees or more). I confirm that any individuals working on behalf of this company (including any sub-contractors associated with surveying and installation) will have met and hold the appropriate individual compliance (MTC) before FENSA can grant registration/membership. I agree to make the following documents available at the pre-approval inspection visit and as and when requested by FENSA: Insurance documents, IBG Provider, Complaints Log, Health & Safety Policy, Staff Competences, and all relevant contracts with Terms & Conditions for the job being inspected. I agree to set up a direct debit mandate for collection of fees by FENSA Ltd. I agree to have in place for each installation an Insurance Backed Guarantee (IBG) which is acceptable to FENSA. I confirm that I hold current editions of the applicable Building Regulations; I am familiar with these requirements and I agree to keep up to date and comply with any changes. I confirm that all installations will comply with Building Regulations and all work will be carried out with reasonable care and skill. Failure to comply with the Building Regulations is an offence and any failures will be rectified by the Company expeditiously prior to re-inspection. All products supplied will be of satisfactory quality. I confirm that I will 'Notify' all of my work which falls under the current edition of the Building Regulations to FENSA (within 20 days of its completion), through the online portal and pay the associated fees. Once certified I understand that my company information will be shared on public websites and used in FENSA Ltd and Helix Group Ltd tools and applications. I agree to be inspected to the frequency of inspections required for the volume of work undertaken. By submitting this form I confirm that I am authorised by the company and that the company will be bound by the rules and conditions detailed above.